Shape, define and enhance your features with long-lasting effect. 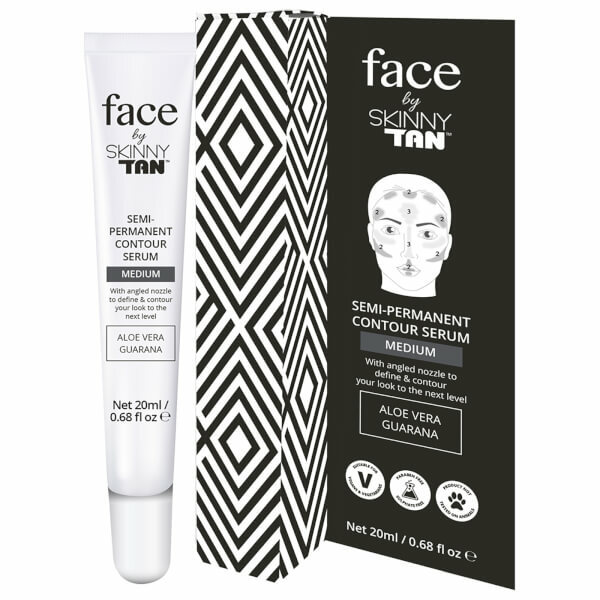 The Face by Skinny Tan Contouring Serum in 'Medium' is a semi-permanent contouring serum that utilises the brand's naturally derived tanning agent to help sculpt and add depth to facial features. Apply to areas in need of extra definition, such as cheeks, jawline, forehead and down the nose. Apply sparingly and blend carefully, ensuring you blend right into the hairline for a natural-looking finish. Leave to develop for eight hours then finish your look with desired highlighter.